James Hays is a partner in the Labor & Employment Practice Group in the firm's New York office and is a team leader of the firm's Traditional Labor Law Team. James' practice focuses on management labor and employment law. He represents clients in collective bargaining negotiations, labor arbitrations, and all stages of the labor election process, including election campaigns and hearings before the National Labor Relations Board. 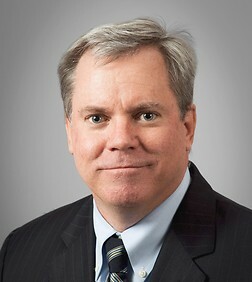 He also represents clients in employment litigation in federal and state courts, as well as various arbitration forums, and in proceedings before various administrative agencies, including the Equal Employment Opportunity Commission, the United States Department of Labor, and state agencies throughout the United States. James advises and has represented clients in litigation concerning breach of non-compete agreements and theft of trade secrets. He advises employers on strategies for handling workplace harassment, internal investigations, reductions in staff, discipline and termination actions, and wage and hour issues. James devotes significant time to the defense of complex wage and hour class action litigation. He regularly counsels clients on preparation and administration of personnel policies and employment strategies and compliance with WARN, FMLA, ADA, COBRA and other federal and state labor statutes.